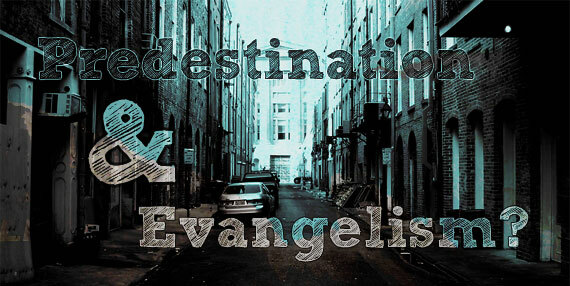 What Does Predestination Do To The Task of Evangelism? One of the most common questions I receive when the subject of predestination comes up is that of the place of evangelism. If God has chosen who will be saved, they query, then where is the urgency in evangelism, or worse still, why evangelise at all? This is a valid question, and I’ve always appreciated R.C. Sproul’s answer to it. For those wrestling with the question, I thought it would be beneficial to post an adapted excerpt from Sproul’s book “Chosen By God” below. If God has sovereignly decreed election from all eternity, why should we be concerned about evangelism? I will never forget the terrifying experience of being quizzed on this point by Dr. John Gerstner in a seminary class. There were about twenty of us seated in a semicircle in the classroom. He posed the question: “All right, gentlemen, if God has sovereignly decreed election and reprobation from all eternity, why should we be concerned about evangelism?” I breathed a sigh of relief when Gerstner started his interrogation on the left end of the semicircle since I was sitting in the last seat on the right. I took comfort in the hope that the question would never get around to me. The comfort was short-lived. The first student replied to Gerstner’s query, “I don’t know, sir. That question has always plagued me.” The second student said, “It beats me.” The third just shook his head and dropped his gaze toward the floor. In rapid succession the students all passed on the question. The dominoes were falling in my direction. Gerstner’s eyes started to flame. He said, “Ah, I see, Mr. Sproul, one small reason is that your Savior, the Lord of Glory, the King of kings has so commanded it. A small reason, Mr. Sproul? Is it barely significant to you that the same sovereign God who sovereignly decrees your election also sovereignly commands your involvement in the task of evangelism?” Oh how I wished I’d never used the word small. I got Gerstner’s point. Evangelism is our duty. God has commanded it. That should be enough to end the matter. But there is more. For “whoever calls upon the name of the LORD shall be saved.” How then shall they call on Him in whom they have not believed? And how shall they believe in Him of whom they have not heard? And how shall they hear without a preacher? And how shall they preach unless they are sent? As it is written: “How beautiful are the feet of those who preach the gospel of peace, who bring glad tidings of good things!” (Romans 10:13-15). We notice the logic of Paul’s progression here. He lists a series of necessary conditions for people to be saved. Without sending there are no preachers. Without preachers there is no preaching. Without preaching there is no hearing of the gospel. Without the hearing of the gospel there is no believing of the gospel. Without the believing of the gospel there is no calling upon God to be saved. Without the calling upon God to be saved there is no salvation. God not only foreordains the end of salvation for the elect, he also foreordained the means to that end. 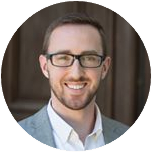 God has chosen the foolishness of preaching as the means to accomplish redemption. I suppose he could have worked out his divine purpose without us. He could publish the gospel in the clouds using his holy finger in skywriting. He could preach the gospel himself, in his own voice, shouting it from heaven. But that is not his choice. It is a marvelous privilege to be used by God in the plan of redemption. Paul appeals to an Old Testament passage when he speaks of the beauty of the feet of those who bring good tidings and publish peace. How beautiful upon the mountains are the feet of him who brings good news, who proclaims peace, who brings glad tiding of good things, who proclaims salvation, who says to Zion, “Your God reigns!” Your watchmen shall lift up their voices, with their voices they shall sing together; for they shall see eye to eye when the LORD brings back Zion. Break forth into joy, sing together, you waste places of Jerusalem! For the LORD has comforted His people, He has redeemed Jerusalem (Isaiah 52:7-9). In the ancient world, news of battles and other crucial events was carried by runners. The modern marathon race is named after the Battle of Marathon because of the endurance of the messenger who carried the news of the outcome home to his people. Lookouts were posted to watch for the approaching messengers. Their eyes were sharp and trained to the subtle nuances of the strides of the approaching runners. Those bearing bad news approached with heavy feet. Those runners bearing good news approached swiftly, with feet sprinting through the dust. Their strides revealed their excitement. For the watchmen the sight of a runner approaching rapidly in the distance with his feet skimming over the mountain was a gorgeous vision to behold. We have a meaningful role to play in evangelism. We preach and we proclaim the gospel. That is our duty and our privilege. But it is God who brings the increase. He does not need us to accomplish his purpose, but he is pleased to use us in the task. We must never underestimate the importance of our role in evangelism. Neither must we overestimate it. We preach. We bear witness. We provide the outward call. But God alone has the power to call a person to himself inwardly. I do not feel cheated by that. On the contrary, I feel comforted. We must do our job, trusting that God will do his. R.C. Sproul in “Chosen By God” . Adapted from pages 180-185. Divine sovereignty and predestination are big subjects and ones that can be very emotionally charged. I know there are readers of this blog who are not Reformed or Calvinistic. If that’s you, can I encourage you to read R.C. Sproul’s “Chosen By God” even if only to more clearly understand what Reformed Christians believe on this subject. It’s written at a popular level, and although it deals with weighty issues it remains very accessible. I also hope R.C.’s excerpt was helpful in allowing you to see where we’re coming from in regards to evangelism. For balance, can I suggest Reformed Christians pick up a copy of Roger Olson’s “Arminian Theology” . I believe it offers the most modern, thorough, and popular level treatment of an alternative position. If you’re from the Reformed tradition, although you’ll disagree with it, read it to more clearly understand what Arminians believe. Now to all of us, let’s get about the business of having beautiful feet as we proclaim the glorious Gospel of our Lord Jesus Christ!